Many of them admit to failing to take full advantage of the growing amount of data their companies collect. Others confess to not even knowing what data they gather, where it is or whether they could trust it at all. As a result, some ask whether they should just accept the data on face value, leaving it up to their analysts to make any sense of it later. There doesn’t seem to be any other way, after all. I address their concerns in two steps, typically. First, I put their problem in a broader context. Then, I discuss how marketing intelligence helps overcome their data chaos. Let’s follow the same process here. We create an astonishing amount of data each day. We’ve generated over 90% of all today’s information in the last two years alone, in fact. But how could the situation be any different if we send 156 million emails every minute and make 154 thousand calls on Skype? Or if, as the experts predict, our online purchases will reach just short of $3.5Bn this year? Each of the above activities leaves an incredible trail of information behind. As a result, CRM systems burst out with emails and communication data already. Web or e-commerce platforms deliver all kinds of visitor statistics. Advertising systems generate an insane amount of insights on consumer behavior and preferences. And that’s just the tip of the iceberg. The visual below illustrates it well. 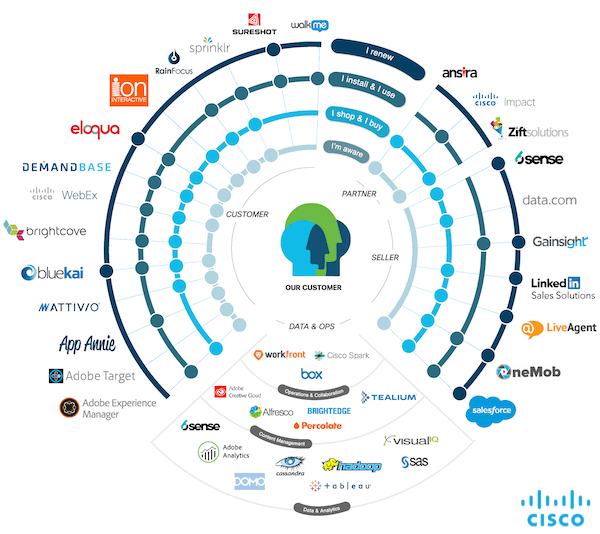 It shows the tools and platforms used by Cisco to collect marketing data. Their stack is impressive. I can only imagine how big Cisco’s average data set must be. Yet, according to our forthcoming report - Justifying Opinion with Facts* - in spite of having so much information, only 53% of companies admit to making decisions based on data and analytics. *The report is expected to be released before the end of March 2019. One reason is the complexities involved in accessing information. An organization’s ability to use the data suffers when information is scattered across its various business units, departments, vendors and more. But even if the data gets brought into one place, much of it remains unusable. This problem occurs because of different file formats, technology, even labeling conventions in the data set. To summarize, organizations collect more data than ever before. However, they struggle to take full advantage of it because they don’t know where it is. Even if they do, many companies find it hard to convert that information into usable datasets. The above brings us back to the problem, the data chaos that so many organizations suffer from. The solution lies in incorporating marketing intelligence to collect and manage information. The term, marketing intelligence, relates to practices of collecting, organizing and managing data relevant to a business and using it to increase its ROI. Examples of marketing intelligence data include target market characteristics, market growth rate figures, competitor analysis, consumer trends, and spending analysis, competitive market analysis, CRM data, customer surveys, sales data and almost any other type of marketing-related information a company collects or could gather. All that information helps companies take a more strategic approach to their promotional efforts - from identifying the best performing channels to discovering new ways to engage the market. In our report above, we’ve discovered that the majority (43%) of online stores use data and analytics to focus on a specific online activity. Some examples include campaign optimization or improving an area of their sites. Unsurprisingly, however, only 14%, use the information to analyze their entire marketing ecosystem. Their problem is that so many of them either don’t know what it is, where it is or whether it came from a trustworthy source. They experience the data chaos. 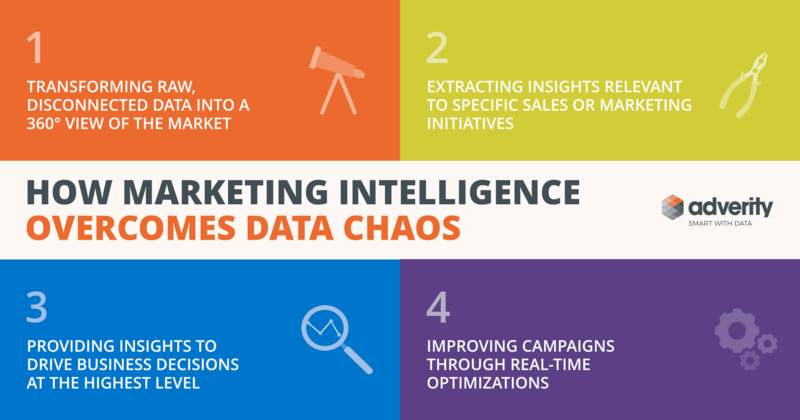 Data chaos is also one of the reasons why so many of them turn to marketing intelligence. With its focus on collecting and managing data, marketing intelligence is the backbone of a data-driven organization. The following are just some of the ways it helps overcome the data chaos. #1. Transforming raw, disconnected data into a 360-degree view of the market. Only with a harmonized, complete and trustworthy dataset can a company gain a single, uniform view of the market. It can build complete buyer personas based on current customer data or analyze a channel's performance by taking its every aspect into consideration. #2. Extracting insights relevant to specific sales or marketing initiatives. Collecting all data in one place results in the ability to break down any initiative into the smallest elements, analyze success factors at a granular level and identify what drives the highest performance. #3. Providing insights to drive business decisions at the highest level. Similarly, having all data in one place means the ability to improve decision making relating to high-level initiatives – entering a new market, developing the product further and so on. #4. 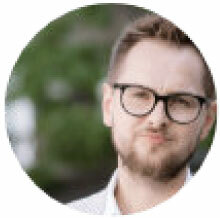 Improving campaigns through real-time optimization. A formidable weapon in the arsenal of marketing intelligence users is the effortless ability to identify scope to improve ongoing and future campaigns. With powerful real-time and actionable insights at hand, marketers can better understand what works and what doesn’t - all while skyrocketing their ROI. Marketing intelligence is a process. However, following it requires two tools. First, a data platform to collect, transform and harmonize the information. The other, a dashboard software to display the data relevant to a particular business problem at hand. As the amount of available information grows, organizations begin suffering from data chaos. They no longer control what information they collect. Many of them don’t know where that data is or whether they could trust it. As a result, only a few can use data to analyze their entire marketing ecosystem. The majority, however, can focus on its single aspects only. There is a way to overcome data chaos though. But for that to happen, an organization must implement marketing intelligence to collect, store and manage its information in a single data warehouse.